(and the one after that). One thing that really sets us apart is our promote-from-within philosophy. We train and develop our employees so that they have the knowledge and skills to advance in the company. This approach of rewarding hard work is why employees often stay at Enterprise Holdings for their entire career. One shining example of this practice at work was Chrissy Taylor's promotion to Chief Operating Officer in early 2016. It wasn't just a victory for her career - it started a chain reaction of promotions throughout the company. From our World Headquarters in Saint Louis, MO, to operating groups in Canada and the U.S., 11 people were promoted as a result of her career progression. Click through the stories below to see exactly what we mean when we say "promote-from-within" and to discover each employee's personal journey at Enterprise Holdings. Starting out as a Management Trainee in 2000, Chrissy Taylor did everything from interact with customers to manage fleet inventory. She was then able to move into support departments — including IT, Treasury and e-Commerce — giving her outstanding exposure to many facets of the company and a broad view that would help her later in her career as she took on more responsibility. As her career progressed, Chrissy earned the opportunity to oversee operations in both America and Europe — giving her a deep understanding of the scope of Enterprise’s global business. In her current position, Chrissy oversees the company’s operations and serves on the corporate board of Enterprise Holdings. 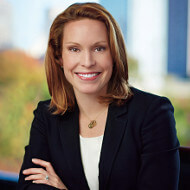 One of the highest-ranking women in the global car rental industry as well as in the automotive and travel industries, she is part of the third generation of leadership of Enterprise Holdings, preceded by her father Andy Taylor and grandfather Jack Taylor. 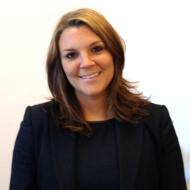 Andy cites her determination as one of her strongest assets and the reason she has done so well in the company. Chrissy deeply believes in Enterprise’s promote-from-within culture, and is proud to see new opportunities opening up all the time — allowing employees to develop the skills necessary to grow their careers. Dave Nestor knows the importance of not letting any career opportunity go to waste. 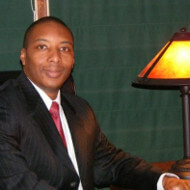 Throughout his time with Enterprise, he has lived in Dallas, Chicago, Las Vegas and St. Louis. And as Senior Vice President of North America, his career is a testament to the endless possibilities available with Enterprise. Early on as a General Manager in Nevada, Dave learned valuable lessons from his employees. After hearing feedback from his team members that he wasn’t transparent enough, he started having frequent conversations about their performance and opportunities for improvement. This approach helped to develop Dave into the leader he is today. After his promotion to Area Manager in Dallas, Dave started to think big picture, and saw himself at the company long-term — and not just taking his career successes one at a time. He realized he belonged at Enterprise and resolved to make the most of every opportunity that came his way. With more than 30 years at Enterprise, Randal Narike continues to have great passion and enthusiasm for his job and the company. He thanks Chrissy Taylor, Chief Operating Officer, for encouraging this continued excitement, as she is always reminding Enterprise team members to work hard — but most importantly — to have fun. For Randal, his promotion to Area Rental Manager was the most challenging, but also the most pivotal to his career success. It was in this role that he learned to leverage different employees’ skill sets, encourage their career growth and work with different styles of management. Taking that step set him up with foundational learning that he still uses today as a Senior Vice President. Randal encourages other Enterprise employees to take full advantage of every opportunity presented to them — even if it means stepping outside of their comfort zone and relocating in order to secure that next big promotion. Starting out as a Service Agent in Nevada, Steve Tudela quickly learned the ropes and began to learn more about other opportunities at Enterprise — including the Management Training Program. He accepted a position as a Management Trainee the following year. 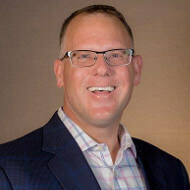 Several promotions later, Steve made an out-of-state move to Arizona as Group Rental Manager. The seamless transition opened his mind to considering more relocation opportunities in the future, and he saw that the high caliber of Enterprise employees he’d previously worked with was representative across the board. But it was his promotion to Area Manager that really solidified his desire to stay with Enterprise for the long-term. As Area Manager he began to feel like a true professional, instead of just an employee — and that confidence gave him complete ownership over his career. Steve advises new employees to work towards that moment of fully, truly owning your career and responsibilities. That’s when you have the most job satisfaction and potential for career success. Like so many other Enterprise employees, Craig Snelgrove started as a Management Trainee. But he quickly moved up the ranks thanks to Enterprise’s dedication to promoting from within. Craig cites his promotion from Branch Manager in Ontario to Area Manager in Detroit as a turning point in his career. Moving to a new country allowed him to step outside his comfort zone, which came with a variety of different challenges. This experience ultimately made him a better leader and operator. 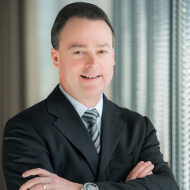 Throughout his career, Craig moved to several locations and two countries — Detroit, Philadelphia and Toronto, to name a few — giving him a diverse experience that sparked his passion and drive. Craig decided to make a lifelong career with Enterprise because he knew if he dedicated himself and fully invested his energy, he would move up and achieve great success. He dove into his Enterprise career and has never looked back. Now serving as a Vice President and General Manager in Toronto, he knows that the grass isn’t greener at another company — that the next great thing is right here, with Enterprise. To work with Craig, visit the Toronto group page. Art Turner started his career at Enterprise as an intern when he was still a senior in college. Although he had planned to head to law school after college, he enjoyed his internship so much that he decided to start with Enterprise full time after graduation. Art already knew from experience that he had fun at Enterprise, but he was also attracted to the promote-from-within culture and the entrepreneurial spirit. As a Branch Manager, Art experienced a rough patch in his career and wasn’t sure if Enterprise was the right fit for him. When his mentors and upper management jumped into action to get him back on track, Art knew he would spend his career at Enterprise. He then decided that he would do everything in his power to pay it forward and become a mentor to others. Art’s promotion to Assistant Vice President for the West Coast was the most pivotal move of his career so far. He appreciated having exposure to new challenges in a different part of the country, and saw it as an opportunity to build his skill set. He also relished working side-by-side with some of the greatest minds in the car rental industry. He likens the experience to getting a doctorate in running a business. In his new position, Art looks forward to growing the business in Southwestern Ontario and developing his employees — providing them with the same mentorship that he received to help them propel their careers forward. To work with Art, visit the Southwestern Ontario group page. When she was promoted to Branch Manager, Valerie knew she wanted to stay with Enterprise throughout her career. She enjoyed running her own branch and having the autonomy to execute her vision for the team. She also loved watching her employees’ career journeys — taking every opportunity to develop and train them for success. Because of this experience, she knew she wanted more — more responsibility and a larger team. Valerie highly values mentorship. She still goes back to her mentors for advice and feels fulfilled being a mentor to her employees. Some of the advice she gives is to stay focused and always be two steps ahead. She encourages employees to absorb everything, because even the smallest tasks can help prepare you for your next promotion. To work with Valerie, visit the Southern California group page. "I really like that at Enterprise we promote based on performance, not seniority. I think the culture breeds success because so many people you work with started as Management Trainees and have faced similar challenges — and they can now share how they moved their careers forward." 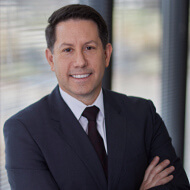 Michael Arcuri has embraced the opportunities available to him at Enterprise. When the right promotion opportunity opened up, even if it was a little outside his comfort zone and far from home, he went for it. From Boston to Southern California, Michael has worked his way across the US and gleaned valuable lessons from each position and operating group. For Michael, having a number of coaches in different cities has been a huge benefit to his career, and he credits the rich mentoring culture at Enterprise with making it so easy to tap peers and leaders for advice. In his new role as a Regional Rental Manager, he is excited to pay it forward by providing his employees with training, coaching and teaching from his own experiences. And he doesn’t just see them as employees — he sees them as future leaders. To work with Michael, visit the Southern California group page. In just six years at Enterprise, Matthew Trautman has experienced tremendous career growth. He cites the training opportunities and peer support as factors that lead him to perform at a higher level and ultimately move up in the company. Matthew appreciates the range of training he received right from the start. From formal career development trainings to management job shadowing, he knew Enterprise leadership was dedicated to helping him learn from day one. In his new role, Matthew is looking forward to making an impact on a greater number of employees. Valuing the mentoring he received at each step in his career, he looks forward to passing it on to others. At Enterprise, one person’s promotion can lead to several others’. For Matthew, it’s not a matter of if, but when, that opportunity will present itself. To work with Matthew, visit the Arizona group page. 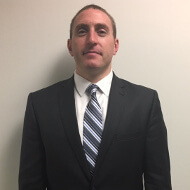 In just four years, Joseph Fetzner has had three promotions, moving from Management Trainee to Branch Manager. He credits Enterprise’s dedication to developing and promoting current employees as the reason he has consistently moved his career to the next level. 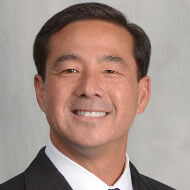 He has also taken advantage of Enterprise’s comprehensive on-the-job and formal training, and credits his career success and growth as a leader to the resources available to him. 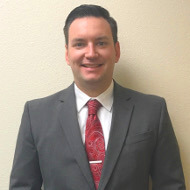 In his new role as Branch Manager, he looks forward to continuing to grow his career as he motivates and leads his team — giving them the skills needed to progress as he did. To work with Joseph, visit the Arizona group page. After graduating from the University of Arizona in 2015, Matt H. had a number of career options to consider. 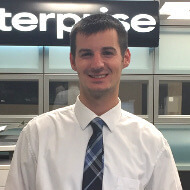 While he had an offer on the table, Matt ultimately decided to come to Enterprise because of the training program and the opportunity to move up quickly. Matt could tell from day one that his team at Enterprise was interested in his personal growth. He found that senior leaders really cared about his career, which made him comfortable in taking advantage of the open-door policy and mentoring opportunities. For Matt, the positive energy at Enterprise makes it easy to enjoy his job. Even though he never pictured himself working in sales right out of college, he was willing to take on the challenge and is grateful for the people who helped him along the way. He enjoys the competitive environment but also notes that there’s a team mentality that motivates everyone to support each other. Matt continues to set his sights on career growth. 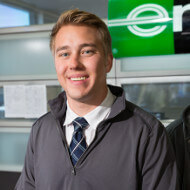 He knows there are many career avenues to choose from at Enterprise, and he looks forward to taking that next step. To work with Matt, visit the Arizona group page. In 2015, Kate V. was growing tired of the restaurant business and began looking for something fresh — a job where she could put her managerial skills to better use. During her Enterprise interviews, she was attracted to the promote-from-within culture and soon after started her career as a Management Trainee. Kate quickly realized that the idea of internal promotions wasn’t just lip service. She appreciated how all of her expectations were laid out for her — and she just needed to follow the roadmap to be set up for success. She knew if she worked hard, she would be rewarded. Throughout her time at Enterprise, Kate has enjoyed a network of mentors. She credits her Branch Manager when she was a Management Trainee for developing her skills and preparing her for the next step. In her new role as Assistant Manager, Kate is excited to hold a leadership role with a fresh group of Management Trainees in a new branch. She’s motivated by the opportunity to develop a team and looks forward to being rewarded for her success. To work with Kate, visit the Arizona group page.